Autoklose is an all-in-one outbound sales automation platform. It features automated lead generation, drip campaigns, calendar scheduling, and CRM integration. "The better CRM for Solo-preneurs"
This software combines the power of a traditional CRM with the feel of a personally sent email. It really opens the door to creating a better way to nurture your relationships. It is the closest thing to a virtual word-of-mouth business solution I have found. If you are looking to move away from email list size maximization and instead go deep with your quality contacts, this is a great tool to help you automate that process. Still under fast development so request enhancements as you go and wait to see them. This is not really a dislike though if you want to be on the cutting edge of intelligent relationship building technologies. This is a great mini-CRM that is best looked at as a new way to do business. Autoklose gets you away from the "Create a bloated list, then push them till they unsubscribe" mentality and moves you to automating high-quality personal connections. "Great resource for any size of company"
I've used many different email automation tools and email databases at several different companies over the years. Autoklose is one of the best tools for the best price I've come across. Their system is easy to navigate, sort, export, import, and track. They also have very quick response times for support questions. They are in the process of cleaning their data further, and this has been evident in my experience. They were very open to feedback and are working to make sure that each category, such as first name, title, etc, show the correct information and is formatted properly. This will save you time and bring you meetings. We've been able to focus more on follow up and setting meetings with potential clients over spending as much time prospecting in general. "Autoklose is every Salesman's best friend!" Everything about Autoklose is designed to make outbound sales and email marketing a breeze. I haven't found anything that I dislike. I would very Highly recommend Autoklose. I have used my CRM database to send out similar campaigns, but with Autoklose, everything is right at my fingertips. It will work 24/7 and sends out my messages to the decision makers. I get knowledge of who opens my email, I get knowledge as to what links they clicked on, and I get the names of the people that want to know more. If you want your sales to grow exponentially you will go with Autoklose. 1. Getting in front of decision makers. 2. Having everything automated, where you just press "Start Campaign." 4. Make it, and forget about it, and wait for the appointments to be set. "Great as it is, only to get better." It allows a lot of flexibility in terms off account and e-mail management. Starting from the free unlimited e-mail switches, up to adding unlimited amount of users, separating them into teams according to your preferences, and still have a clear overview of everything that is going on. At this very moment, the fact that follow-ups can not be sent as a reply to the initial e-mail, in the same thread. But they are going to enable this as well in one of the features to be released soon. Certainly one of the software to look into and keep an eye on considering their development. AutoKlose certainly helps a lot when you're dealing with so many Campaigns for different Companies involving multiple teams. Their overview, friendly UI and many tasks that have been automatized, are saving you time and making your life easier. "Great product that integrates contact list with mail merge capabilities "
I love the integration with contacts that I may not have in my files. AutoKlose allows me to target not only specific industries but also specific positions and titles. In the past, we relied on dealers to sell to the banking market. Today those sales have fallen off significantly and we don't have the customer's contact information. this has allowed us to collect and email a specific group of contacts. "Autoklose is great for our tightly targeted campaigns"
It is a fantastic tool for our tightly targeted campaigns. l have not found anything to dislike, waiting on roll out of new features. IT's a great tool, very flexible, my team finds it easy to use and we are getting very favorable results. Autoklos is only linited by your imagination on how to use it! My company is new to using sales automation software. Until now, we used mostly email automation platforms like MailChimp or Infusionsoft CRM. This is a different type of software used mostly by sales teams and the difference is it sends emails directly from your personal/business email so open rates are higher. l wish it was able to connect with other external CRMs (Infusionsoft). It’s easy to use, campaigns are simple to set up. There is a campaign wizard that leads you step by step so it’s very hard to make a mistake. Some of the options are hidden and not so intuitive, but they have pretty much responsive customer service that helped us. We can achieve more in less time. "Quite an impressive piece of software"
I am a marketing guy. So to me, it's all about sending an effective message out to the right people. AutoKlose does that in a very good way. I am happy with the tool and I'd like to see more automation especially in the marketing arena. I met the team and I am sure they will deliver more HQ features that will help automate my team's efforts. I would recommend AK to every sales and marketing person out there trying to reach out to either broad or specific market. Even if you need some custom data these guys can help. I've been using them since BETA launch (less than 6 months) and I am extremely happy with the data and the software itself. The database is a masterpiece. I am amazed by the numbers and % of success that I am getting out of my campaigns. It's much more effective when you can send automated emails from your email provider in my case GSuite. "Autoklose, our favorite team member"
Working with Autoklose is like having your own personal assistant who does all the hard and boring work for you, whether you work in sales or HR (our both departments use it). It won’t run two parallel campaigns for the same person. I understand why they made it work in such a way, but the complexity of our offers forces us to have leads in multiple funnels. I am hoping they will make it possible one day, even if that means “running it at our own risk”. If you have a sales department - you need it, maybe you just don’t know it yet. Using Autoklose allowed us to speed things up tremendously. We use Autoklose as the first line of sales until we receive a reply from the prospect. Sales managers basically don’t do anything until they get a signal from the other side. This allows them to spend most of their time building relationships with their key accounts. "This tool will bring you leads"
I use Autoklose to communicate with our current and potential clients. When you think about it, it's amazing that I can reach out to clients while I commit time to my work. It's doubling down my effort and also it allows me to focus on what I do best. Can't copy campaign or add users to it after the campaign started. I am using campaigns extensively and are missing little things like that. I am curious to see how machine learning will pan out. It is easy to use, intuitive and great for setting up a drip campaign even for small groups and the email comes from my Gmail account. While many use it for lead generation, we use it for "common" dispursed customers who need similar information. Rather than just re-emailing them, we set up the emails as a sequence. It just works! The company is new, but enhancements are done regularly. I would like the contacts sorting to be improved. Great platform if you are using Gmail. We also use a commercial email service, but the unopened rate is much higher -- a key benefit of AutoKlose is the recipient open rate. Communicating with an existing group of clients in an easy logical format, with good data tracking. "Our starting point for every new sales campaign"
Since we have very complicated processes in our sales department, Autoklose has proved itself as a most valuable tool. We often have tactical sales campaigns that include various discounts, packages, gifts and similar actions. Before Autoklose we used to send emails manually by copy-pasting the same content and then changing first names, companies, emails, etc.. I am happy with this software currently. Pros: This is the 4th software of this type that I’m working with and I must say it is the best of all 4. There is no simpler and more useful tool to use for this purpose. Cons: I see that some people mention their dashboard as an issue. It is a minor problem and so far the only minus I can think of, but it’s nothing that would stop me (or anybody else) from using it. Overall: Simple software with powerful output, capable of delivering tons of emails directly to your customers’ inbox in a personalized manner. "This is a solid outreach tool. " I like how Autoklose makes my work easier when looking for more sales prospects. The fact that l can have a large number of emails sent to different clients at the same time, while they’re customized according to a client's personal data makes me confident, especially when l get to meet the client in person later. Finding new leads is also easy. By defining the industry information, company size and location you can precisely generate new leads for your outreach. We would like more third-party data providers integrated, but this is not critical. There is a CSV upload option. We wanted to cover a large number of prospects so that we can focus only on those with whom our offer resonated. We were able to add more potential prospects to the database easily and the response rate for campaigns was solid. I like best that I can create a personalized email to a key decision maker, then organize them to go out automatically & I don't have to change the salutation, etc. one by one. The analytics are helpful like an autoresponder. It's hard to access templates, make & save changes across the board. It's the same as other similar products, but maybe a little cheaper. It helps me do cold outreach so most faster. By seeing who opened (or didn't open the email) I know who to call or contact by another means. "Autoklose + Exchangeleads is a deadly combo!" The opportunity do a campaign to a targeted market that emails a drip campaign to an exact target market in under 10 minutes? Do I need to say anymore? These product options from the owner is amazing! Exchangeleads is very hit and miss. They need to work on cleaning the data up. Way to many bounce backs. There needs to be the ability to insert a picture into the body of email, not as an attachment. I don't have time to do cold calls, meet and greets as we are a small Etsy shop that is scaling with hand made products. We have low profit margins, so hiring is impossible. This software solution gives me an outbound solution that I didn't have in place before. "Sales automation tool with great potential"
It’s simple to set up and start running campaigns. There are numerous email sequences (templates) for various purposes. Everything worked out fine for me and there wasn't anything in particular that I disliked. I really loved the fact that they prepared so many templates for various situations. My schedule is hectic, so I easily get distracted and stuck when I have to compose new emails. This platform allowed me to use one of the existing sequences and simply personalize it with the needed details. It's simple, you collect data, you send out e-mails , go on sales calls, then get paid. Lacking Emoji integration, however, nothing a quick workaround can't fix. Great software. I am making sure my leads are being following up with. I am able to enter new niches at will. I was able to move my VA from doing cold emails to doing other tasks in my business at a fraction of the cost. "Quick to learn, easy to set-up." I have used a few different email tools and platforms, but Autoklose is so much better. They have been very responsive to support questions and adding additional features/integrations. Hard to note them, when I think I am missing a function, I ask and then it appears on noted on a product roadmap. Quick, simple to set-up and launch first touch email campaigns to target lists. Great UI and easy functionality. Anyone can be up and running in minutes generating leads..converting cold to warm or nurturing accounts. Tracking gives the insights that i need to plan my day and automate my process. When using mobile and reviewing my campaign metrics I would like to be able to click on the phone number that was uploaded to the contact. This is only with my uploaded lists. Having an integration with my dialing system would be even more....but now im being picky. But i could dial quicker and only need my mobile to work from. Automation! My dials are now warm and some contacts are reaching out to me or using my CTAs. "Great Tool! Easy to implement and simple to manage"
The simple integration with my Google business account and the fact the emails are less likely to go to junk mail. The templates are nice to utilize and personalize as starting points for your campaigns. Would like more visibility and flexibility with some of the admin tools (I know this is coming up in the next release). Establishing a full circle marketing campaign to grow my business. Autoklose has saved me a tremendous amount of time during my day. This is very important to me, because I have a lot on my plate and need to make sure I'm using my time wisely. "like having your own email robot"
small key features currently are not accessible, being able to "drag" to add emails to existing campaigns, and get a lot of out of office replies in my inbox. try it out, and see what happens, my guess is sending marketing emails normally afterwords feels like a waste of time. as a smaller company who is not looking to build a direct sales team I feel I can be 'fishing' via email while im "farming" and "hunting." 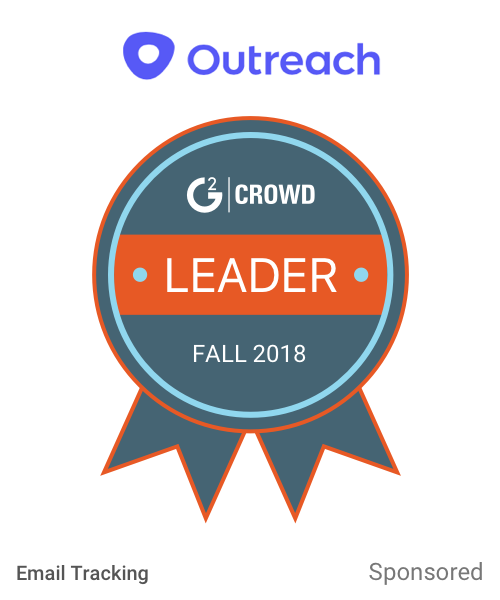 "An Amazing (And Much Needed) Tool"
Having access to a full blown database for email outreach in an easy to use platform. To expand our marketing outreach, test new markets & messages. The biggest issue of any business is getting in front of enough people and this program helps solve this in an easy to use platform. "A great tool to maximize my time & increase touch points"
I appreciate the option to change a sequence and to save it as a new template. By doing so, this sequence becomes available to my colleagues as well. This proved to be very handy for the whole sales team. Building up a good relationship with a client base usually takes a lot of time because every message must be personalized if you want to produce any positive outcome. Anything lower than that can be considered as a “marketing” or a “spam” by the customer. Autoklose allows you exactly that - personalized bulk email sending through controlled and carefully tailored campaigns and your customers will never know it. "I work with Autoklose a lot and I love it"
I have started using this software ever since they introduced it to us and I don’t know how I would do my job now without it. It has helped me to hit my numbers noticeably in the previous two months. I wish they had integrations with more CRM options since we don’t use only Salesforce. It takes several contacts before someone replies to you. Autoklose has helped me to simplify this process and put outreach on autopilot. "Our customers love Autoklose more than we do"
We love working with Autoklose. Our whole team can cooperate and modify templates that we use between us. We have more time left to spend on other, more complicated tasks. Functionally, the software works without a mistake. If I’d have to complain about something, that would be the software colors/design. If you need to send a lot of personalized emails concerning the same thing, Autoklose is a solution as it personalizes communication in a few clicks. "Great Application to get LEADS & Appointments"
The automation to set up templates and ability to send out to lists. The limitation on how many you can send out (2000). Start the trial to experience the product and make sure it fits your needs. Generating new leads and business. "Simple to use but lacking basic feature"
Allows our sales team to reach more people in a shorter amount of time and not have to rely on marketing to set up campaigns. We have been able to get more sales appointments and reach more people because there is less likely of a chance of getting caught in spam filters. "The most useful Salesforce add-on"
I love how Autoklose is capable of integrating seamlessly with Salesforce. It works without errors. We used some other software before and we had issues with duplicate leads. With Autoklose we don’t have such errors. They still don’t have a click-to-call action. It works with emails only. If you depend heavily on Salesforce as we do, this type of software is a true time saver. It simplifies and speeds up otherwise complicated and tedious tasks. I can send many messages at once and personalize them at the same time. Without Autoklose, this would be considered as spam. Everything works fine for now. I didn't have any issues. Autoklose is not a typical marketing tool; it is a sales tool. The bulk email sending option was until now available only for marketing automation tools. As a sales tool, Autoklose works differently. Instead of sending messages through some third-party email server, Autoklose sends messages from your own email and clients see them as if you sent them personally. Cutting down on repetitive and boring tasks, spending more time on other things. "Lead gen tool from the future"
AutoKlose helps me to reach out to my clients in a fast and reliable way. I can go and do my design while the emails are flying out to my clients' inbox. Nothing that seems to not work at the moment but adding some more features would do the job. As mentioned while designing I am prospecting. Can't get any better than that. The team is focused on customer service and helping users get the most out of the platform. "Efficient, product does what it supposed to do." I like the ability to see when someone opens the email and how many times. Customer Service is Top Notch. It is in beta, so being able to pull emails from users that have opened emails to resend will be coming. We are trying to reach out to companies we cant reach out to by phone. We have received business from companies we never would have without AutoKlose. I liked the automatic email function and the fact that people actually opened, clicked, and responded to my emails. Much better program and results that the other automated email software programs that I've tried. A little hard to figure out how to get some of the functions to work. Generating appointment leads has gotten much easier with impressive results and appointments booked! "Get Leads Faster with AutoKlose"
AutoKlose is a simple interface and allows users to build and track campaigns with ease. In the past users have gotten multiple emails even after being responded to. I believe this has been updated as of May 2018. Automating conversion emails so that I don't have to send thousands of emails to cold leads. "An amazing lead gen tool"
AutoKlose works for me and my SDRs really well. We are able to approach many of our b2b prospects in within minutes. Currently, all expectations are being met so nothing to dislike. It's easy to Automate and streamline all repetitive and time-consuming tasks while having lots of fun and good data on the go. "Spend time only on the things that matter the most"
I like their campaign wizard which guides me through campaign creation step by step. That way, it’s impossible to forget something. Their UI/UX could be better. Some things are not accessible from the dashboard because they’re hidden by the buttons marked with the three dots that appear in various places. Not sure why they made it in such way. This will depend on the way a company reaches out to its leads. If your reps have a big lead database and send a lot of similar/same messages, this software could help you. Having more time for less repetitive tasks. "Actually works great, saves time - constantly improving"
so simple, so powerful, not millions of stupid features...just great ones that get the job done and perfect support so far. they are adding it in the next release in a week anyway - so all good! "Tool that changed the way we do lead gen"
AutoKlose works without errors. It syncs well with SalesForce and has great features to push our SDRs. I don't have any specific things that I can mention at the moment, but I'd love to see more features and automation rolling out. I can prospect and get to my clients' inbox while coaching my team at the same time. 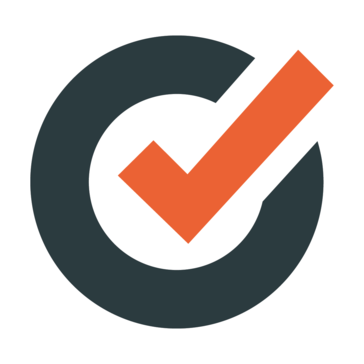 "A really good email automation tool." Nothing, really like it and easy to use. "The Leads Just Keep Coming In! And they are Great Leads from Big Companies"
The best thing is, I can do my planning up front, then just forget about it until the next lead comes in. Should be able to add or delete users without having to go back to the company. Reaching out beyond our friends and family to organizations that need our platform. I like that it works with your current email provider - eg: GMAIL so that it gets inboxed at a better rate. It's simple to use. Could have some templates around already converting offers. I'd love a newsletter that showcases the structures of winning campaigns. Automation of mundane sales tasks. "Extremely useful tool for drip campaigns"
It's very simple to use and powerful in execution with the high delivery rate. It works with emails only. I'd appreiciate having it for calls too. IIt simplifies otherwise complicated and tedious tasks and it's gives a huge boost to our teams. The best part of Autoklose is that you can connect it with Exchangeleads and in seconds arrange account-based outreach campaigns. Nothing to dislike. Waiting for additional features. I've tried Autoklose to invite a specific group of marketers and B2B owners to B2B marketers&founders community. Everything worked great! * We monitor all Autoklose reviews to prevent fraudulent reviews and keep review quality high. We do not post reviews by company employees or direct competitors. Validated reviews require the user to submit a screenshot of the product containing their user ID, in order to verify a user is an actual user of the product. Hi there! Are you looking to implement a solution like Autoklose?